Corruption is a malevolent practice that has to be dealt with very strictly, but India is one of the most corrupt nations on the globe. 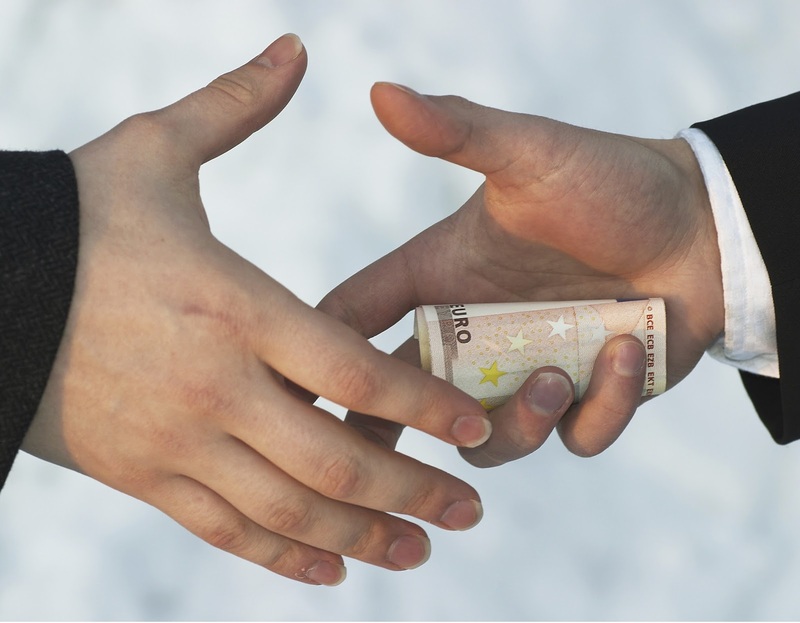 Corruption has been a part of the society since the beginning. The fundamental idea of lokpal is borrowed from ombudsman, which has proved to be very effective in keeping a check against corruption. The Lokpal and Lokayuktas Act is perhaps the main enactment ever, which has been so broadly talked about, both inside and outside Parliament. Thus, generated so much awareness in the public regarding the need to have an effective organization of Lokpal to handle corruption. However, the act passed hitherto is verbose, loaded with negatives and has various cross references. Firstly, there is no law regarding the protection of a person who informs on an individual regarding corruption. A separate law is required otherwise the person informing would be under a high risk of life. The officer against whom the complaint is registered is a powerful person. The judiciary has been completely left out in lokpal’s jurisdiction. The other contention like to that could be pointed out is eventually the bill will loose it’s grip, as India is a democratic country and new laws are passed every now and then. The Lokpal would be subject to certain amendments therefore, the powers would be diluted slowly and gradually. Under the provision lokpal has been granted powers with only those cases which it refers to CBI. The current provisions are open to abuse, instead CBI shall be merged with lokpal do deal with such cases. Now moving forward, there are no provisions as such related to the working of lokpal, there should be an additional body keeping a check on lokpal’s functioning. What if the lokpal is going wrong somewhere and it needs a body to keep a examine on its working and there is no guarantee that the person appointed in the Lokpal will honest trough out. Now talking about the lokayukta, there is nothing mentioned regarding the iostion powers. States are free to define their own lokayukta, it’s working and under what circumstances will it serve. In my view, current laws are not sufficient in light of numerous scandals in India. Apart from the lokpal other acts are also not providing a platform to terminate corruption from it’s very roots one such example could be the companies’ act 2013 provides for transparency and accountability of organizations accounts is mum on setting up a compelling inward observing instrument to check illicit acts by representatives, furthermore guarantee that incentives don't exist to participate in such unlawful acts. There needs to be an extensive structure for the anti-corruption machinery, which is unfortunately missing in our nation today. The matter of whether the Indian Prime Minister and higher judiciary ought to or ought not be prosecutable by the Lokpal stays as one of the main issues of debate. Anna's own candidate chosen for co-leading the joint board Justice Verma, the previous Chief Justice of the Supreme Court, has communicated his constitutional disapproval for including the Prime Minister and higher judiciary under Lokpal. According to him, "this would foul with the fundamental structure of the constitution". The Lokpal has powers to give directions to CBI, if a particluar case has been referred to CBI,the officer incharge in that case cannot be transferred without LOKPAl’s consent. The significant defect of the Lokpal Bill is that it excludes religious bodies and NGOs which represent foreign inflows to the country,there should be an administrative power to check the funds and records of these religious bodies and NGO's. Lokayuktas have not been furnished with their autonomous investigative machinery making them reliant on the administration offices, which leaves enough degree for the government officials and the civil servants to tinker with the procedures of examination. According to the government Bill, lokayukta is established in every state trough enactmentby the state legislature with in a period of 365 days. Where as it was demanded to create a lokayukta along the same lines as the one at the center level. In the current act there is no whistle blower provision although in the bill proposed, the lokpal had the power to provide whistle blower protection as per the provisions. Further, it is not free from political impact as the delegating board itself comprises of parliamentarians. Further more the appointment is influenced as there is no set procedure to decide eminent jurist. Moreover there is no constitutional backing provided.The forces, structure and extent of Lokayuktas does not find any notice of the act. There is far way to go to guarantee transparency and campaign against corruption are still on but to achieve its goal. There is no enough action for appealing against the lokpal. Looking into the current scenario, The political organization is understandably contradicted to the Lokpal, since the indicated focus of the Lokpal is for the most part the legislators themselves. Corruption has become a disease both for the governance and the society. There have been enormous scams in the past and every one has witnessed how corruption ate our public institutions. The powers, composition and scope of Lokayuktas do not find any notice of the act. There is a far way to go to guarantee transparency and crusade against corruption are still on and are yet to reach its destination. Of course, no law however stringent can be remove corruption from its very root but we can start it with ourselves, educate people about it, tell them not to give or take any form of bribery. Be the change you want to see. As a nation we should take a stand for it. The problem is not that India lacks laws but there are various loopholes as mentioned above which pulls it backward and makes the laws ineffective, the lack of political will shall be held responsible. We need a proper vision and framework to deal with corruption. Instead we should think of the larger picture and consequences of our act. If we can create it, the power is within us to destroy as it well; therefore we as citizens shall practice solidarity. "The following article is written by Himani Doot, a law student of Jindal Global Law School."